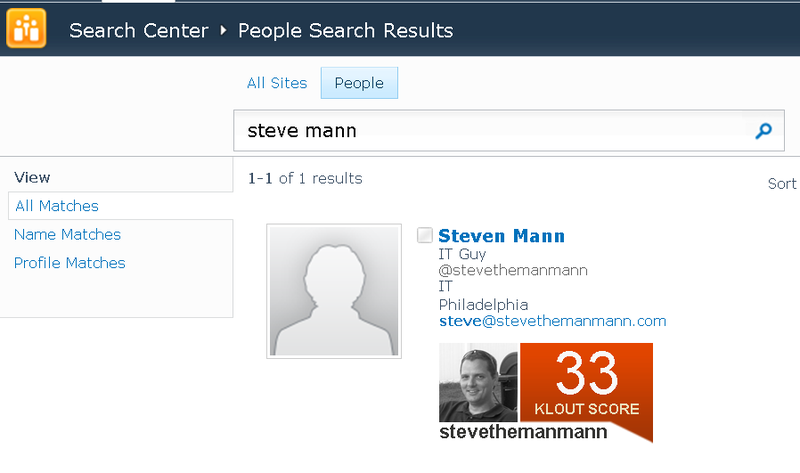 When I thought of integrating Klout scores into SharePoint, the first thing I thought of was the People search results. This made sense since when searching for people in an organization, you would easily be able to see their Klout score with their information. Add a custom property to the User Profile Service. Crawl People to generate a new crawled property based on the new user profile property. Create a Managed Property for search that maps to the crawled property. 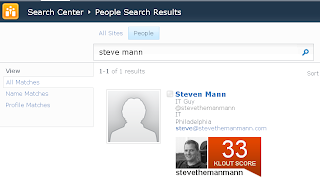 Modify the People Search Core Results XSLT to display the Klout Widget incorporating the new search managed property.